Get on the other side of the mirror with White Rabbit Slot, a well-executed slot game by Big Time Gaming. Have you ever heard of this exceptional game provider? Well, this one is responsible for many other incredible slot games at Vegas Spins! Try this new addition to the awesome collection of games at the casino site on your mobile, tablet or desktop device. The White Rabbit will assist you as you visit the wonderlands of the virtual realm! It is quite easy to play White Rabbit Slot. In fact, you simply need to click the spin button! This will allow you to have new symbols on the reels and it can include winning combinations as well. Want to know what is considered as a win? Three or more matching symbols that are along a pay line are known as a winning combination and then the odds are multiplied by your bets before being awarded to you. Feel free to start the game by adjusting the bets! Bet Levels: There are no bet levels available on White Rabbit Slot. 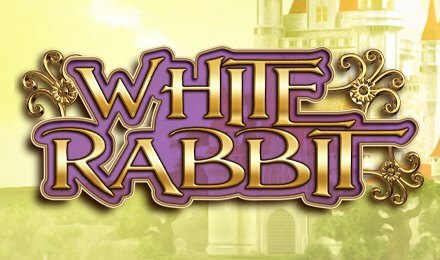 Amount of Paylines Selection: White Rabbit Slot offers 243 ways to win! These ways to win are always active! Coin Values: You can choose to increase or decrease the bets on the game by accessing the Stake Tab. The slot machine allows you to select a minimum of 0.10 up to a maximum of 20.00. The Wild Symbol appears on all reels except for reel 1. Wild can substitute for any other symbols of the game to award a winning combination. However, it cannot replace Scatters, Cupcakes and Feature Drop Symbols. The Rabbit Symbol stands for the Scatter Symbol of the game. It is used to activate the Free Spins Feature and appears on reels 2, 3 and 4 exclusively! The Caterpillar Feature can be activated at random during the base game. Throughout this feature, 4 Bonus Wilds are added to the reels. The Bonus Wilds are known to have the same ability as the standard Wild with the sole difference being that these ones carry a multiplier of up to 3x. If you land three Scatters, you will activate this feature with 15 Free Spins. Each time you activate a feature, you will have extra ways to win and symbols added to the reels. This will increase the over-all ways to win of the game. This symbol is available only during the Free Spins Feature. Whenever you obtain one on the reels, it will be replaced by 2 random symbols and increase the maximum symbols on the reels by one. You can reach a maximum of 12 symbols on each reels. In the event you reach the maximum on a given reel, the feature is re-triggered! You can purchase features at any time by clicking on the Feature Drop option. The feature will then instantly be playable! Good luck in assisting Mr White Rabbit on this grandiose slot game!